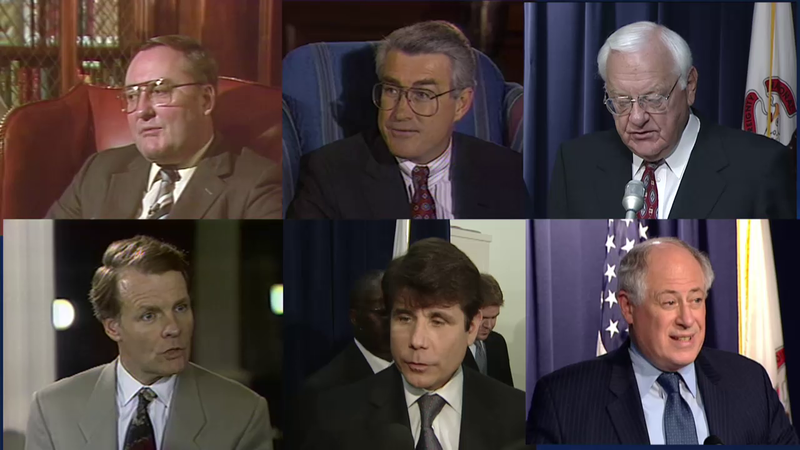 A new, in-depth report this week, titled The Illinois Pension Disaster: What Went Wrong?, takes a look at how Illinois politicians pulled the state into the current pension mess after decades of poor planning, non-existent estimates, and last-minute decision making. Journalist Dave McKinney wrote the story for Crain's Chicago Business and joins Chicago Tonight to discuss the story and how it provides important context for our current crisis. Click for a larger image. Underpaid pension payments in order to provide immediate budgetary relief, which, according to the Commission on Government Forecasting and Accountability, totaled $41.2 billion between 1985 and 2012. Enhanced pension benefits, including former Illinois Gov. James Thompson’s decision to increase the cost-of-living for retirees to 3 percent in 1989. The decision by Gov. George H. Ryan toward the end of his term in 2002 to grant state employees an early retirement. According to McKinney, so many people took advantage of the program that the costs could not be paid within the designed 10-year program structure and the costs were added into the long-term pension system debt, where it will not be paid off until 2045. A Chart of the 50-year 'Edgar Ramp.' Click for a larger image. Dave McKinney: 'The Edgar Ramp' was aimed to basically get the pensions funded at 90 percent by 2045. The pensions had been down in the 50 percent range, so basically there were enough assets to cover only 50 percent of what the true cost of what paying out the retirees was. They thought that was a good idea at the time, but, the way the plan was structured, there was a 15-year ramp where the payments were really gradual. There was an assumption that, ‘we’ll underfund the pensions for 15 years in this gradual ramp, and then by the time the real, heavy-duty payments kick in, inflation will have stepped in and it will have made that punch less severe.’ Well, that really didn’t happen and we went through all the 2000’s decade with next to no inflation. And so it really was faulted by both the state Supreme Court and its May ruling that tossed out the latest pension funding plan, and it was cited by the Securities and Exchange Commission in 2013 as one of the chief causes to the problem we’re in now.